Blending yarn, spirit, and community. CoordKnit believes that knitting is a life-enhancing skill. 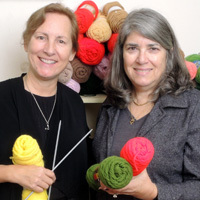 We began by supplying knitting lessons to those undergoing medical treatments such as chemotherapy. Coordknit grew into a yarn bank for collecting and redistributing yarn and needles for knitting charities.